When Kent woke me up this morning I actually debated whether to get up and hunt at all. 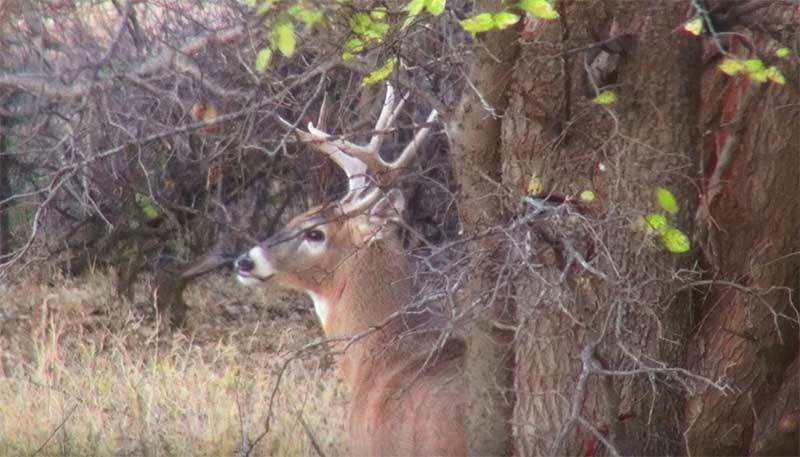 I'm sure that sounds strange - the rut is in full swing and the weather was cold and perfect. The reason I was reluctant to hunt was easily understood - we stayed up until 3AM Eastern time to watch history unfold as Donald Trump became the 45th President last night. Despite two hours of sleep, I ended up going hunting anyway. I hunted the Calvary Creek Treestand in the AM but saw very little. Some does and fawns, a couple of coyotes, and a small 110" 8pt that was 300 yards away. I passed the time by watching CNN Live on my phone. Watching the CNN pundits wringing their hands over the Election was just too special to pass up. 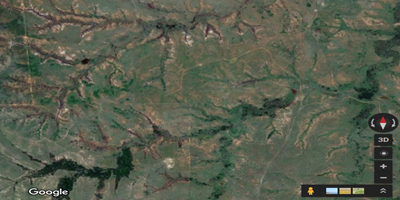 By the time Kent picked me up I was watching Hillary Clinton's concession speech while sitting in a treestand overlooking a Kansas River-bottom. It was a special moment that I won't forget. 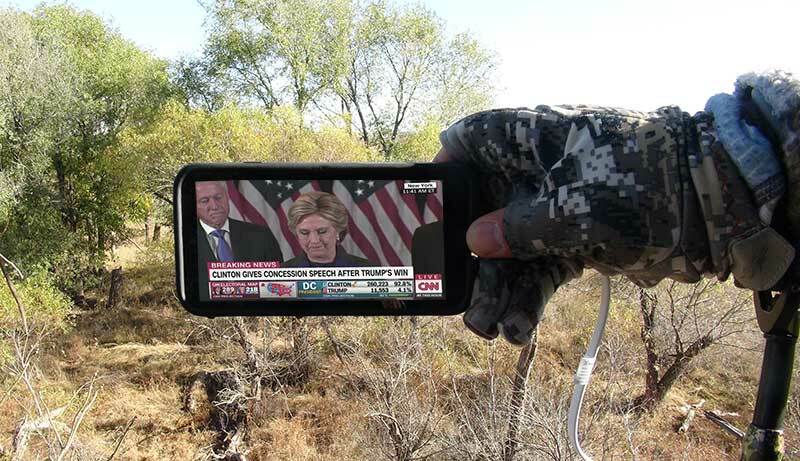 Watching Hillary's Concession Speech from the Treestand - Priceless. For my afternoon hunt I was invited to hunt Jeff Goulet's property. Jeff is one of the hunters and this year he bought several hundred acres right here in town. 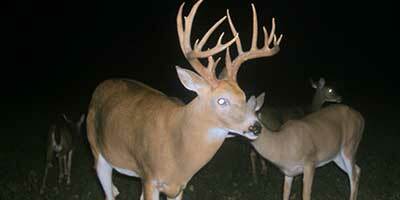 The property is beautiful with several big bucks. It had not been hunted much this year. I appreciated the offer and looked forward to the hunt. It was a bit warm and I had dozens of does come in all afternoon. 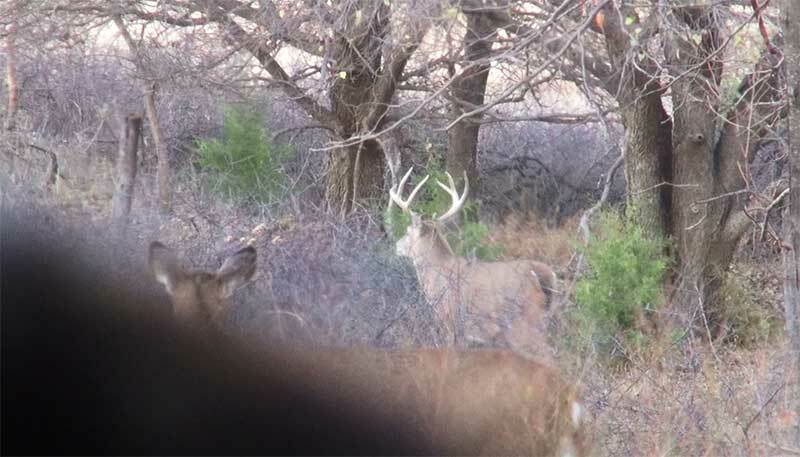 About an hour before dark I saw one mature buck that cruised in. He was not a shooter but it was a fun hunt. and rolled out. He was not a shooter for me.